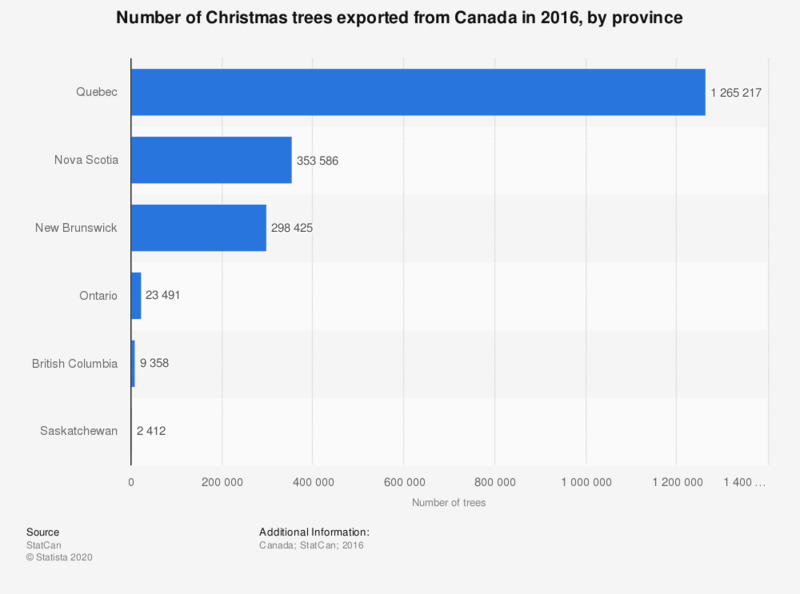 This statistic shows the number of Christmas trees exported from Canada in 2016, by province. Just under 300,000 Christmas trees were exported from the Canadian province of New Brunswick in 2016. Do you have a Christmas tree at home? How are you going to decorate your Christmas tree this year? Among the 15 favorite trees of French people which do you prefer?